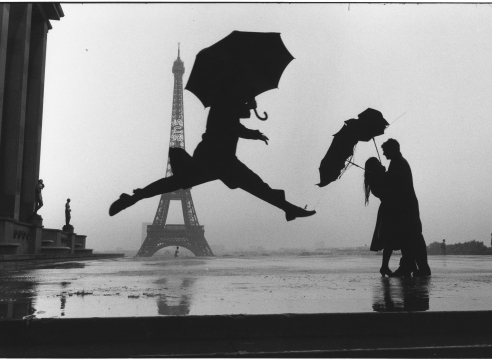 Elliott Erwitt is one of the leading figures in magazine, advertising, and commercial photography. A member of photography’s elite, Magnum, since 1953, he also began making film documentaries in the 1970s. 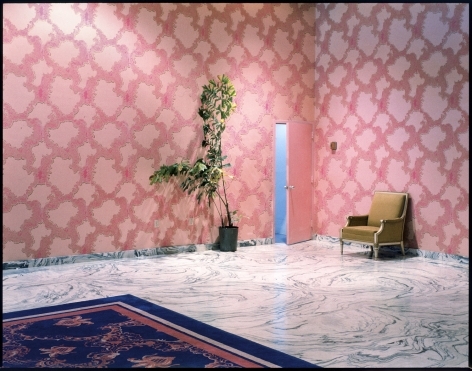 But he is best known for the warmth, humor, and wry observations in his personal work, which he has continued to produce in tandem with his commercial practice, and which are collected in best-selling volumes such as Personal Exposures (1988) and Snaps (2001). Born in Paris to Russian émigré parents, Erwitt and his family spent several years in Milan before returning to Paris, in 1938, when he was ten years old. 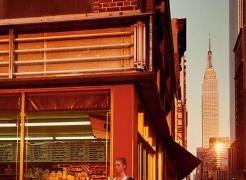 The following year they moved to New York, before settling finally in Los Angeles in 1941. 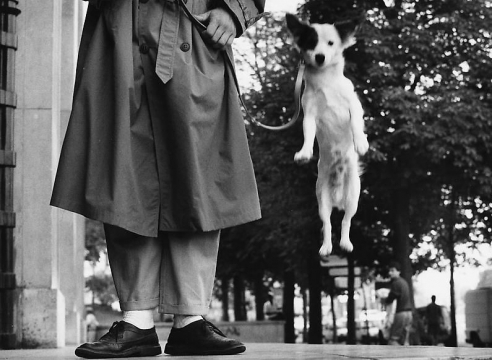 Erwitt has been an enthusiastic traveller ever since. His first experience of photography was in a commercial dark room, where he helped produce “signed” photos of movie stars. 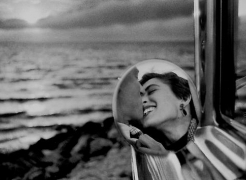 He began taking pictures shortly afterwards, whilst travelling in France and Italy, and by 1953 he had been invited to join Magnum by its one of its founders, Robert Capa. His early career, when he was an accredited Whitehouse photographer, yielded some famous images, including those of the “kitchen cabinet debate” between Nixon and Khrushchev in 1959, and images of Jacqueline Kennedy at John F Kennedy’s funeral in 1963. He has produced portraits of Marilyn Monroe, Grace Kelly, Humphrey Bogart and Fidel Castro. In the 1970s he began producing films, television commercials and documentaries, including the award-winning Glassmakers of Herat (1977). 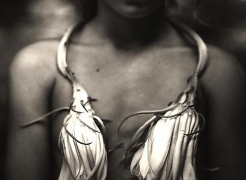 Throughout his career he has continued to shoot his own personal work, always in black and white. He likes it noted that he adores children and dogs, and his pictures of them over several decades attest to that. 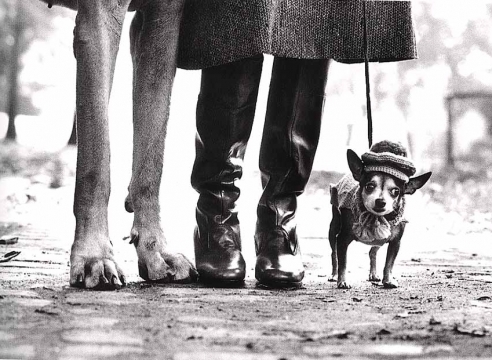 Elliott Erwitt lives and works in New York. The author of twenty books, he has had solo exhibitions at the Museum of Modern Art; the Smithsonian Institution, Washington, D.C.; the Musée d’art moderne de la Ville de Paris; the Reina Sofia, Madrid; and the Museum of Art of New South Wales, Sydney. His work is held in major public and private collections across the world. 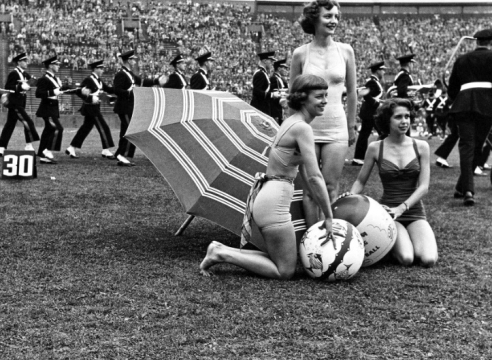 In 1950, Elliott Erwitt traveled to Pittsburgh, then known as the Steel City. 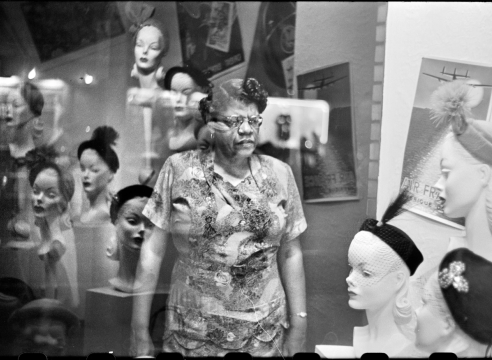 At the invitation of Roy Striker, director of the photographic program of the Farm Security Administration, he captured for several months the transformations of the industrial city. A large urbanization and renovation plan was put in place by authorities of the city of Pittsburgh. With the clear mission to transform the industrial, blackish, clogged city into a greener, more open spaced, in a word,a more pleasant town. 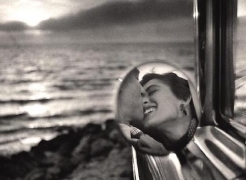 Elliot Erwitt arrived in Pittsburgh in September of 1950 looking to prove his worth. Just 22 years old, he had traveled to the City of Bridges at the invitation of Roy Stryker, the former head of the Farm Security Administration’s documentary photography program, which during the 1930s and ’40s commissioned some of the century’s most enduring images by the likes of Walker Evans and Dorothea Lange. Years before he found fame as a Magnum photographer, Elliott Erwitt was commissioned to document the city of Pittsburgh. Many of the images he took as a 22-year-old lay forgotten for decades, but have now been compiled in a book. 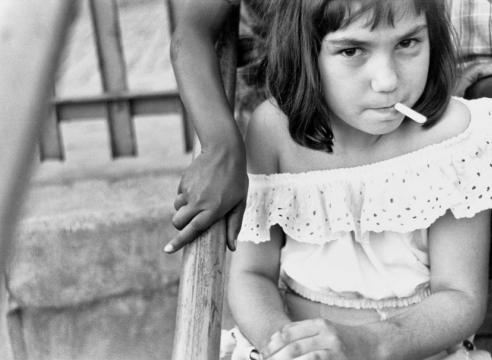 "Pittsburgh 1950" by Elliott Erwitt is published by GOST books. 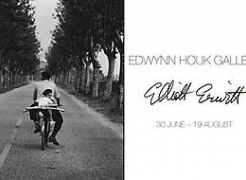 From 11 June to 13 November 2016 the Forte hosts the exhibition Elliott Erwitt - Retrospective. Made by the Fort Bard Association in collaboration with Magnum Photos Paris, the show presents world premiere a new retrospective project of the immense work by Elliott Erwitt, one of the great protagonists of photography of our time. 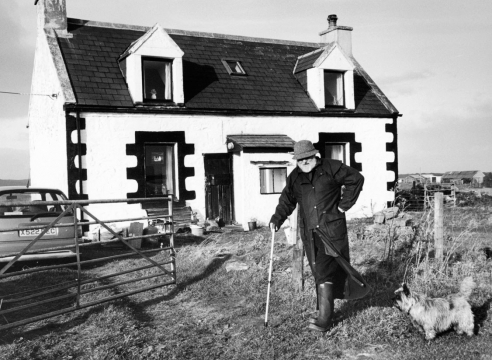 Scotch whisky producer The Macallan announced the latest release in its “Masters of Photography” series—a book of photographs Elliott Erwitt made on commission in Scotland. 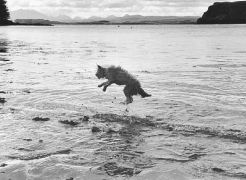 The book, Elliott Erwitt’s Great Scottish Adventure, features 158 images the Magnum photographer made during an open commission to photograph in Scotland. Erwitt is the fourth photographer to work on “The Macallan Masters of Photography” series; Rankin, Watson and Annie Leibovitz preceded him. 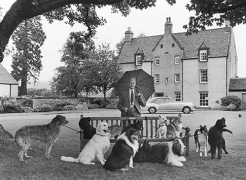 To capture the essence and character of Scotland, photographer Elliott Erwitt traveled the country, shooting people, places, and even Scottish dog breeds for Macallan’s “Masters of Photography” series. 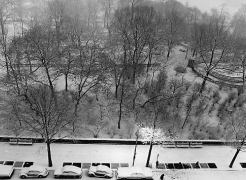 "The Everyday Absurdist's Upper West Side Apartment Reveals a Seriously Playful Life in Photo"
“The only essential thing to have if you’re going to be a reasonable photographer is a visual sense—the rest you can learn,” expounds Elliott Erwitt in this new short that takes a peek into the photographer’s effervescent career. Born in Paris to parents of Russian origin, his family moved to the United States in 1939, which meant that Erwitt was able to meet the leading lights behind the camera in New York in the early 1950s, including Robert Capa and Edward Steichen. Upon joining the seminal cooperative photo agency Magnum, Erwitt developed his signature, surrealist penchant for storytelling, even in the documentary medium. The resulting body of images distilled the uncanny in both mundane and celebrity culture. Director Hudson Lines, who has also worked on a series of videos at Philip Johnson’s Glass House in Connecticut, gained access to Erwitt’s Upper West Side apartment to trawl through the photographer’s extensive archives and discover what he holds dear—and what he holds in contempt. The new film is set to screen this week at the Royal Institute of British Architects in London as part of the POINT conference, devoted to exploring the theme of Authenticity. This major retrospective showcases the career of photographer and filmmaker Elliott Erwitt, the recipient of this year's ICP Infinity Award for Lifetime Achievement.